Classic all round wire gate biner with a lightweight I-Beam construction, easy to handle back shape and generous rope radius. Modified nose profile to protect the gate and safer, deeper rope basket. 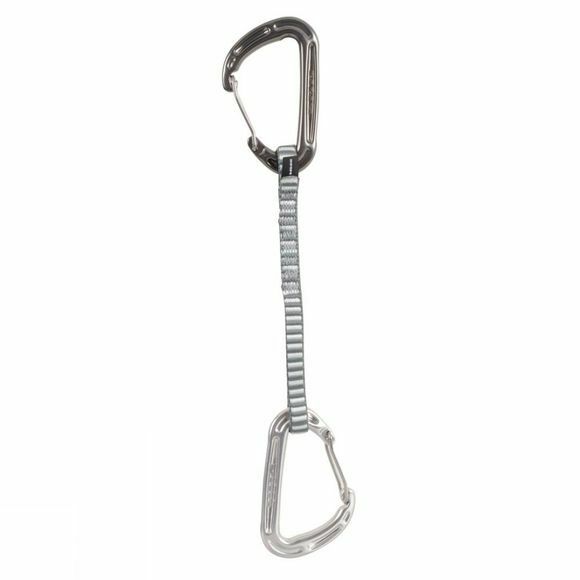 The Quickdraw set places a Spectre 2 at either end of an 11mm Dyneema sling.